Garmins are a wonderful invention but sometimes we as runners over-rely on the technology. Many runners – including myself – become obsessive about the ability to accurately measure distance. We run back and forth in parking lots or city blocks until our watch hits x.00 exactly, and only then can we stop. Before the advent of wearable GPS watches, runners could only measure precise distance (and therefore precise splits) on tracks or certified race courses. Other than that, it was approximating distance with a car or training by time. After my metatarsal fracture, I switched to training by time instead of distance. I had done time-based workouts before and used training by time with some of my coaching clients. The more experienced I became as a runner and a coach, the more I came to believe in the benefits of training by time. Training by time and effort sounds all loosey-goosey, especially for someone like myself who relishes science, research, and data. But I have reached the conclusion about training by time because of science. Let’s talk physiology here. Our bodies adapt when we apply a certain stimulus. Our bodies measure this stimulus in terms of duration and intensity (time and effort). We don’t have built-in GPS devices that know exact miles or kilometers. When you run for one hour at an easy effort, you will gain endurance. It doesn’t matter whether you are a 20-min 5K runner or a 35-min 5K runner – one hour of easy running elicits the same physiological adaptations. However, the distance is different. The 20-min 5K runner may cover 7-8 miles in one hour; the 35-min 5K runner may only cover 5 miles. They both get an endurance boost. That’s not to say that every single workout will be measured strictly by time. We do race by distance, after all, and you have to be capable of covering the distance. 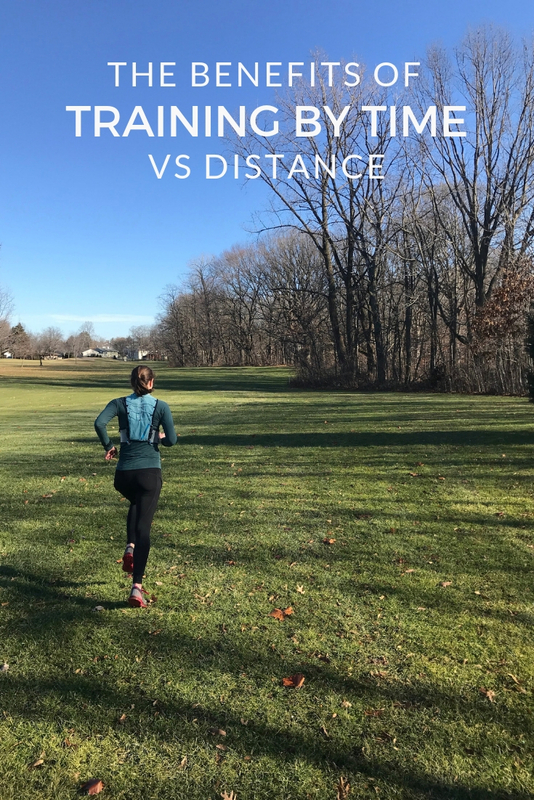 In some scenarios, distance does make sense, such as long runs, track workouts, and peak workouts before a race). Ultimately, if you are following a sound training plan, training by time and training by distance will improve your fitness and help you achieve your goals. Ultimately, do what works best for your mind and your body. However, doing even a portion of your runs by time can offer benefits in training, especially for runners who easily obsess over pace and distance data. Distance can serve as a point of obsession for perfectionists. If the plan says 7 miles, then they have to run 7 miles – even if it doesn’t feel right for the day or an injury is causing pain. As some recent research out of The University of Wisconsin – Oshkosh has found, perfectionists are injured more often. Training by time certainly won’t eliminate some of the tendencies of perfectionists that cause injury, such as running through pain. But it can serve as a mindset shift – you don’t have to hit 7 miles exactly – that helps in other areas of their running. Since you don’t have to hit an exact difference, you might realize that you don’t have to hit exactly weekly mileage or paces. It removes concern over perfection and shifts the focus to appropriate amounts of work at appropriate intensities. Whether you prefer Jack Daniels or Greg McMillan, most respected coaches describe the physiological effects of workouts in terms of time. A tempo run, by definition of these coaches, is not 3-5 miles; it’s 20-40 minutes. Let’s look further at the example of the tempo run (a run done at a comfortably hard effort). For shorter tempo runs such as three miles, there’s not much of a difference as to whether you take 20 minutes or 25 minutes to complete them. For longer tempo runs, a common staple in marathon and half marathon training plans, the difference becomes more apparent. Technically speaking, a tempo run is a comfortably hard effort (approximately 10K to 15K pace for slower runners, 15K to half marathon pace for faster runners) that lasts around 20-45 minutes (when done continuously). After 60 minutes at tempo effort, the run begins to shift from a workout to a race effort. A generalized training might prescribe a 6 mile tempo run. For a 1:30 half marathon runner, this is a realistic workout – about 40 minutes of running at tempo pace. For a 2:00 half marathoner, a 6 mile tempo is closer to 55 minutes – too long of a workout. But if they both did 40 minutes of tempo running, both runners would complete a workout appropriate for their fitness levels and goals. This isn’t to say that every tempo run or similar workout must be done by time. However, when assessing a plan and putting together your workouts (if you are not working with a coach), keep in mind the total time spent working at a certain intensity. Ever speed up a little too fast in the final couple miles of a tempo run just to get it over with? Or push too hard through intervals in order to share flashy splits on Strava? Probably most of us have. Running too fast in your workout neglects the purpose. 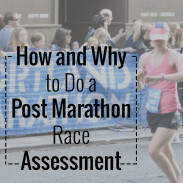 The purpose of each work comes from a combination of volume (time or distance) and intensity (effort, the percentage of VO2max, heart rate, pace from recent race times). If you work at a harder intensity, you are changing the purpose of the workout. A tempo runs becomes a time trial; an interval session becomes a series of long sprints. The desired physiological adaptations are not produced and more often than not, the runner risks overtraining. Granted, you can still run time-based intervals too hard. Training by time still demands that you learn how to gauge effort and control your pace. For the time-crunched runner, the temptation emerges to speed up to fit in all the miles. However, this common training error makes an easy run not actually easy in terms of effort and loses the purpose of the workout. Running too fast on easy days often leaves the runner tired for hard efforts and thus training falls into this less-effective moderate zone. When your schedule says to run for 45 minutes easy, you either run for 45 minutes easy or cut the run short – running faster will not complete it sooner. For a majority of runners, a combination of training by time and training by distance works best. The most effective way to implement training by time is to start with your easy runs. If 5 miles typically take you 44-46 minutes, run for 45 minutes at an easy effort. Ultimately, training by time or a combination of distance and time can only benefit your training. If you feel burnt out, plateaued, or want to improve your training, it’s worth trying! At the very worst, you try it, don’t like it, and return to training by distance – you won’t lose any fitness. Do you train by time or distance? I love this! 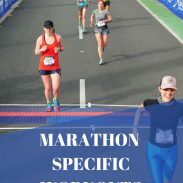 I really enjoyed the training plans you would create for me when I was marathon training. For certain workouts, focusing more on time vs. distance definitely benefited me physically but also mentally! I think a good mix of time vs distance training is the way to go! Thank you! I am so happy that those workouts benefitted you! Ironically, though I tend to coach my clients by time, I am one of those obsessive runners that rounds off my distance at the end of the run. But I like to think I’m smart enough (and old enough lol) not to push when I’m just not feeling right. Back in the pre-GPS day, I had all my regular routes measured out and still went by mileage instead of time. I used to be too until my injury! But I do like to think we as coaches can be a bit smarter/experienced to know when not to push it too hard. Otherwise, how can we coach well? I completely agree that this is a beneficial way to train and does help ward off injury. It definitely has its benefits! Running by effort was a HUGE deal for me during my last training cycle and it has changed the way I view running. I’ve heard the same can be said about training by time. I think it is something that I want to try this time around and it would be neat to see how it feels. Mentally, it makes sense and endurance running truly is about being out there for a good amount of time. It’s definitely worth experimenting with, even if just with a few easy runs to start! We were on the same wavelength this week – I wrote about whether GPS watches were actually good for us! 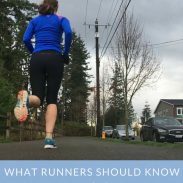 I like how you broke down the different workout ideas for different runners. Super important to think about that when you’re designing a program (for yourself or for other runners). Thank you! GPS watches are great, but they do have their drawbacks when overrelied upon (like all technology!). I usually train by distance, but I have adjusted my training occasionally when I was pressed for time (e.g. when I work out in the morning before work and need to be in the shower at a certain time). Training by time definitely works on a busy day! Yes! I train almost exclusively by time. I have a cheap Timex watch and go for the amount of time I want. I don’t want the pressure of trying to hit splits on a Garmin. Thanks for a very informative post. A good timex watch is really all you need! I remember using just a timer on my phone before Garmins! I was just chatting with a friend about this. She’s feeling stuck at a certain mileage so I suggested switching it up to running for time. It’s just an easy way to get a different perspective. I do like running for time but I’ll still keep ruining if I’m super close to hitting an even distance. I can’t shake that even number love! It’s a great way to switch things up! I’m one of those who is obsessed with distance! And I always wondered why people train by time. This post provided the perfect answer for me. 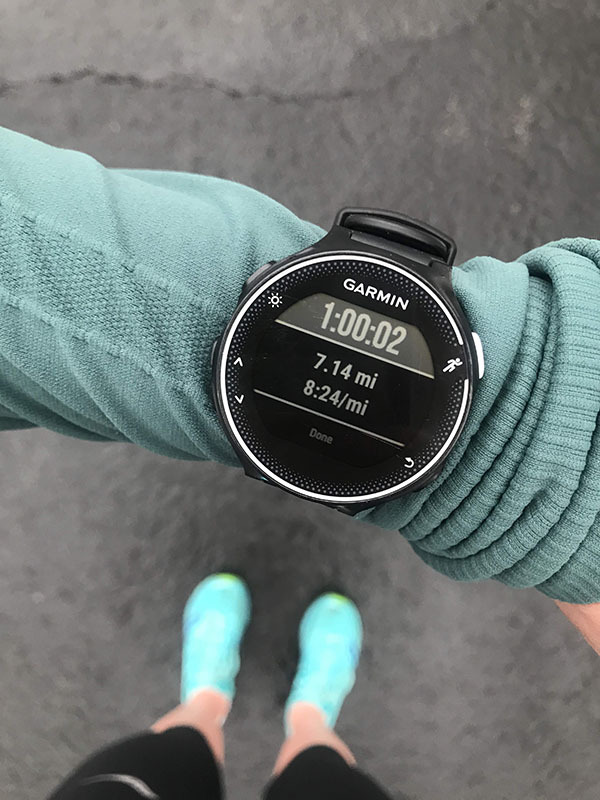 I’m a much slower runner so I can really see how training by time and effort would really benefit me during the week, and then I could maintain a distance goal for my long runs. I’m glad this post was helpful for you! An unreliable treadmill would drive me crazy also! I really like to run by time! i do it on the treadmill pretty often and then sometimes outside too. It’s a nice way to mix it up.